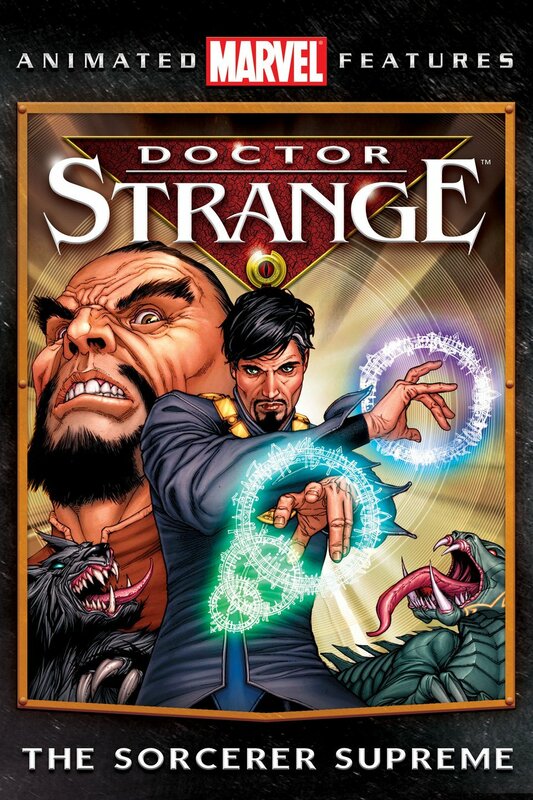 Dr. Stephen Strange is an unhappy but very rich neurosurgeon, allegedly one of the best professionals around. His skills are only matched by his arrogance. One day, however, the bell tolls for our doctor – he sees an apparition and falls victim to a car crash that damages the nerves in his hands. The accident effectively ends his ability to conduct surgery, since his hands now tremble all the time. No specialist can cure him even though he has spent his fortune on different doctors looking for the solution to his problem. One day he finds a different and higher pursuit as he is told to join a secret community in Tibet and learn that the world consists not only of matter but also of spirit. Will that alternative healing methods work? Silly question, right? Empowered as the new Sorcerer Supreme, Dr. Strange now tests his limits, rising up against monsters that push at the gates, facing the most terrifying entity humankind has ever known. As it happens I am not a big fan of Marvel animated movies (please, look at the poster presented above, it explains a lot). They often feature a bunch of simplistic characters who fight against very sketchy evil creatures using tricks which are boring after six-seven seconds top. Still I decided to watch this one because I was curious – its 2016 remake with Benedict Cumberbatch made me wonder whether the original movie was really interesting enough. Of course the hallmark Marvel stuff was there too: hounds of darkness which attacked everybody just because they could, Baron Mordo who betrayed his master just because he felt neglected (poor lil’ baby), a demonic entity out of nowhere who (which?) wanted to rule a planet inhabited by humans (why, though? Why? There are so many other empty planets out there that are far nicer!). Finally there was the Ancient One, a template elderly mentor who has to guide our hero towards the enlightenment and who has to die eventually like every single one of them in plenty of other fantasy stories in order to pass the mantle. The utter cliche in other words. But I admit Doctor Strange himself was different as a main lead, at least at the very beginning. He wasn’t exactly pleasant. In fact he started out as a repelling, selfish, greedy man who didn’t want to help a sick child (imagine that!) just because she came from a poor family of Spanish-speaking immigrants. Then he proved to be completely blind (metaphorically spoken of course) while facing that spiritual wishy-washy, namby-pamby pseudo-Tibetan stuff for a quite long time. I almost wanted to kiss his fashionably greyed forelock. He was surprisingly similar to Baron Mordo, his main antagonist. Which was cool. Unfortunately it didn’t last long. Pity. I could do with friendship between those two. They outfits colours complimented each other for one thing ;p.
Now I know what is Doctor Strange about. I am not sure whether I want to watch the 2016 version of the story – maybe I’ll do it for Tilda Swinton and Benedict Cumberbatch. This entry was posted in animation, fantasy action movie, movie review and tagged 2007 movie, cartoon, doctor strange: the sorcerer supreme, marvel, meh, stupid baddies. Bookmark the permalink. Me too -perhaps. And then I’ll write a nice duel review ;D.
I’ve always like Doctor Strang. He is interesting. I am curious about the movie. I have heard endless good reviews. Watch it then. And write a review :).